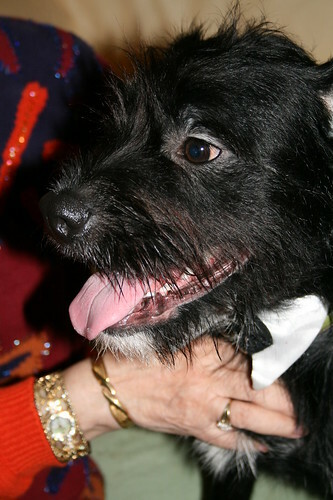 Kelsey in his bowtie costume, originally uploaded by DianthusMoon. My mom’s little dog Kelsey is ‘mostly black’ except for the white chin whiskers and a bit on his chest there. She sure can capture one heart.